Korea Tour Package: Jeju Island Private Tour – It’s Time to Make Your Korea Private Tour More Amazing! Jeju Island Private Tour – It’s Time to Make Your Korea Private Tour More Amazing! Jeju Island is the most fascinating spot in South Korea. This place is also called as Honeymoon Capital of South Korea. And sometime this place is also called as the Hawaii of Korea due to its tropical climate and condition. There are really many jaw dropping sights you can find here. From beaches to tropical climate and from inactive volcanoes to the interesting museums and the theme parks; Jeju Island is the place in South Korea that can really keep you active throughout the day. If you are looking for fun and refreshment at one go, then visit Jeju Island. For this you need to opt for the Jeju Island private tour that is in demand now. You can even ask the tour planner to add such tour for your Korea private tour in order to make the whole tour more interesting and intriguing. There are some amazing things to do when you are in Jeju Island. There are three prime tourist ports in Jeju Island and they are Seogwipo, Jungmun resort and Jeju City. From the airport you can catch the limousine bus that will stop at different spots of Jeju city. In this city, you can find so many interesting activities. So, let’s talk about some amazing activities that you can join once you are in Jeju Island. Exploring the natural wonders located on this island can really make your day! Jeju Island is very popular for its chic theme parks and resorts. 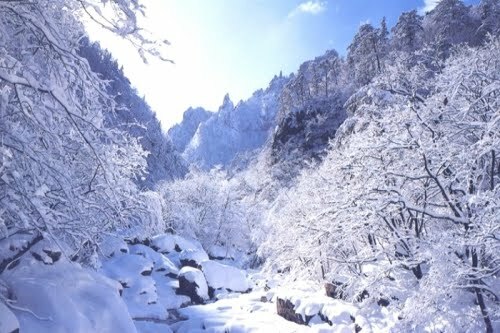 It is probably the only location in South Korea where natural beauty is yet to receive the cosmetic surgery! It’s the lifestyle of locals here that appears to be down to earth. They prefer to live the rural lifestyle and keep the surrounding quite natural. Jeju is really blessed by the Mother Nature with so many gifts and among them the gorgeous cliffs at the sea side, caves, amazing waterfalls and the inactive volcano tubes can make you feel mesmerized for sure. Your Korea private tour can take you on a memorable journey to Jeju city. This part of the world is also famous among the hikers. Climbing the Mt. Halla or travelling for the Sunrise Peak can add more adventure for your Jeju Island private tour. There are also 20 walking paths located in Jeju which are called as the Olle Trails. Such routes are marked with the arrows, colored jags and the sculptures. These paths can take you on a mesmerizing tour to the most picturesque mountains of Jeju Island.